City of Basehor v. J.S. : Client stopped for failing to maintain a single lane (weaving), took field sobriety tests and blew .209 at the station. Case dismissed on the date of trial. State of Kansas v. M.A. : Client found “not guilty” by a jury of a felony DUI in Johnson County District Court. State of Kansas v. J.V: Client involved in an accident and taken to the hospital. His blood was drawn and tested by the KBI to be .120. He was found “not guilty” of DUI in Leavenworth County District Court. State of Kansas v. R.R. : Client charged with a felony DUI in Johnson County District Court after being involved in an accident. His blood was tested by the K.B.I. to be .08. DUI dismissed after filing of motions and prior to trial. State of Kansas v. G.H. : Client stopped for traffic infractions and given field sobriety tests. He was arrested and consented to a breath test but blew a “deficient sample”. The felony DUI was dismissed in Johnson County District Court after filing of motions and prior to trial. State of Kansas v. L.M. : Client involved in an accident on I-35 and taken to the Johnson County Jail where she consented to a breath test. She blew a .156 deficient sample. Case dismissed in the Johnson County District Court after filing of motions and prior to trial. City of Kansas City, Kansas v. J.L. : Client involved in a roll-over accident and taken to the hospital. His blood was taken and tested to be .19. DUI dismissed at trial. City of Mission v. W.G. : Client stopped in a Mission, Kansas checklane and given field sobriety tests. DUI dismissed prior to trial. City of Mission v. J.B.: Client stopped for speeding on I-35 by the Mission Police. DUI dismissed prior to trial. City of Overland Park v. S.L. : Client stopped for traffic infractions in Overland Park. Took field sobriety tests and allegedly failed. Client found “not guilty” of DUI after trial in Overland Park Municipal Court. State of Kansas v. C.S. : Client found “not guilty” of DUI in Johnson County District Court. State of Kansas v. S.K. : Client stopped for Exhibition of Acceleration and traffic infractions and given field sobriety tests. He was taken to the Douglas County Jail and submitted a breath sample of .091. The felony DUI was dismissed in Douglas County District Court after motions and prior to trial. City of Louisburg v. G.S. : Client stopped for traffic infractions in Louisburg, Kansas. DUI dismissed prior to trial. State of Kansas v. C.T. : DUI dismissed in Linn County District Court right before trial. 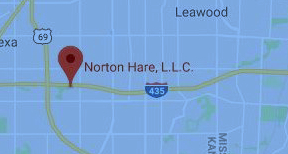 City of Prairie Village v. D.W.: Client stopped for traffic infractions in Prairie Village, Kansas, given field tests and taken to the police department where she blew a .205 deficient sample and a .198 deficient sample. Prairie Village DUI dismissed before trial. City of Lawrence v. L.S. : Client arrested after an accident in Lawrence, Kansas and charged with DUI. The DUI was not filed after litigation of other charge. City of Mission v. C.S. : Client arrested after being stopped in a DUI checklane in Mission, Kansas. DUI was dismissed prior to trial. State of Kansas v. K.B. : Client stopped for speeding and was arrested after field sobriety tests. DUI dismissed in Wyandotte County District Court for speedy trial violation. City of Mission v. C.R. : Client stopped for traffic infractions in Mission, KS and charged with DUI after testing. She blew a .18 at the police station. DUI dismissed prior to trial. State of Kansas v. J.C.: Client stopped for not using a turn signal and given field sobriety tests. She was taken to the Olathe Police Department where she blew .150. DUI dismissed in Johnson County District Court after litigation of motions. City of Overland Park v. M.O. : Client charged with DUI in Overland Park Municipal Court after being stopped for speeding and running a red light. He failed field sobriety tests and blew .191 at the Overland Park Police Department. The case was appealed to Johnson County District Court where he was found “not guilty” of DUI and running the red light after a jury trial. City of Leawood v. J.G. : Client involved in an accident with a semi on I-435 and failed field tests. He was charged with a DUI in Leawood Municipal Court after taking a breath test. DUI dismissed prior to trial. State of Kansas v. C.W. : Client charged with DUI after arrest in Gardner, Kansas, and blowing a .122 at the Johnson County Jail. DUI dismissed in the middle of trial. City of Merriam v. P.R. : Client was involved in a car accident in a parking lot. He failed field sobriety tests and was taken to the Merriam, Kansas police department and charged with DUI. DUI was dismissed prior to trial. State of Kansas v. S.M. : Client found “not guilty” of DUI in Johnson County District Court. City of Overland Park v. S.H. : Client stopped for speeding and not using a turn signal. After field tests he was arrested and charged with DUI in Overland Park Municipal Court. He was found “not guilty” of DUI after trial. City of Gardner v. B.D. : Client found “not guilty” of DUI after trial in Gardner, Kansas Municipal Court.